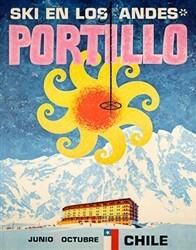 Size 19.5 x 27.5 inches, including 1 inch white border. 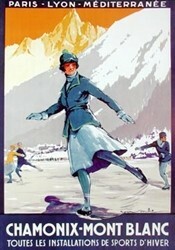 Classic Chamonix poster showing skater and peaks. Complete your Chamonix collection! High quality reproduction of 1924 original, created by R. Soubie.